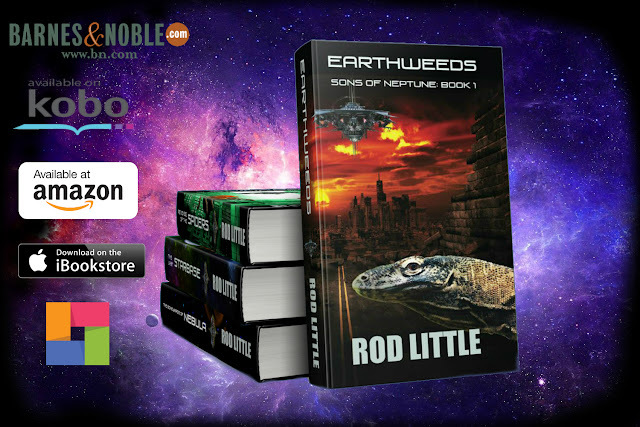 There is now an exciting new alternate cover for Earthweeds. The new cover is thanks to brilliant artist Chris Matz, and it will be used for all eBook editions (Nook, Kindle, etc). It may also appear on the mass market paperback this summer. For now, the deluxe paperback will still feature the original cover. Both available worldwide at all major retailers. 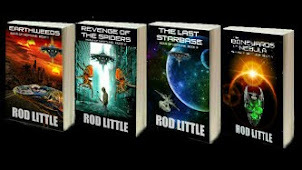 Work is still continuing on Hidden Planet to be released this summer, but in the meantime... spark on! 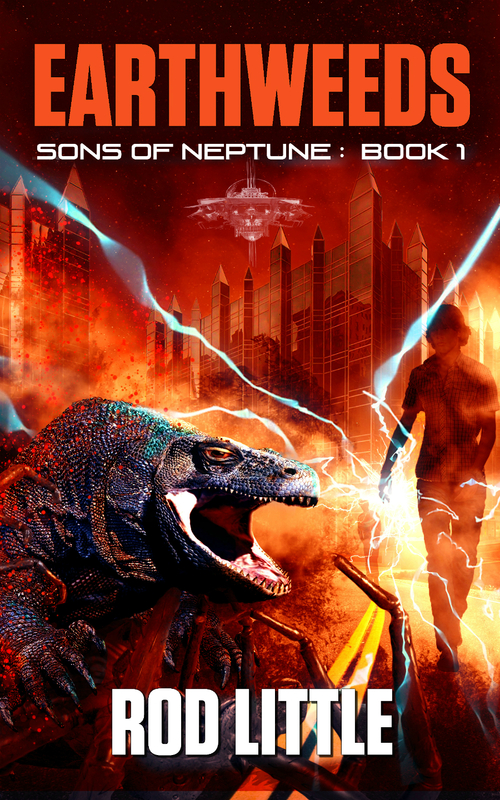 The Sons of Neptune series is now available at Barnes & Noble, iBooks, Kobo, Playster and other retailers across the globe, along with Amazon where it has already been available. Welcome to the party, Nook readers and others! We look forward to meeting you. 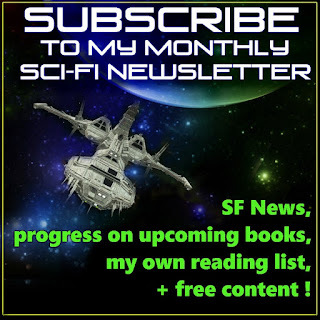 or Sign Up for my monthly newsletter, so you'll never miss a release date. Also, get bonus content and more sci-fi extras. You should get a confirmation email within a few minutes. If not, please contact us. 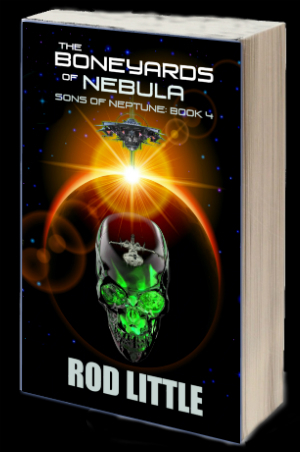 A distress call is intercepted from a dark anomaly in space, a starship graveyard known as the Boneyards of Nebula. The Praihawk sails to answer the call; they will be the first humans to cross into the zone in over a century. Meanwhile, creatures overrun Starbase 21, and Lusus tightens his grip on both Earth and Neptune.